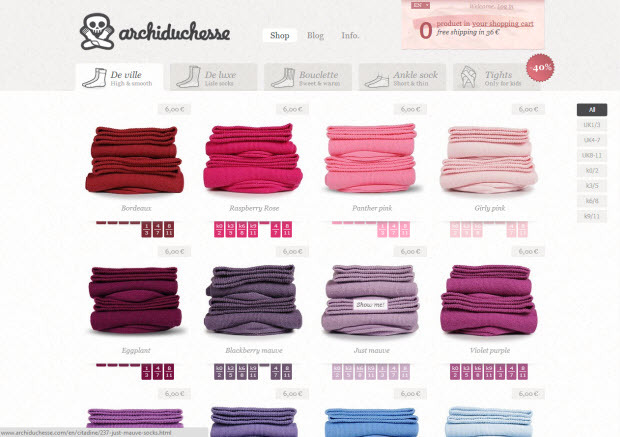 Here’s a list of beautiful ecommerce website design we find on our travels. Why do they make this page? The execution of the site stands way above the norm. 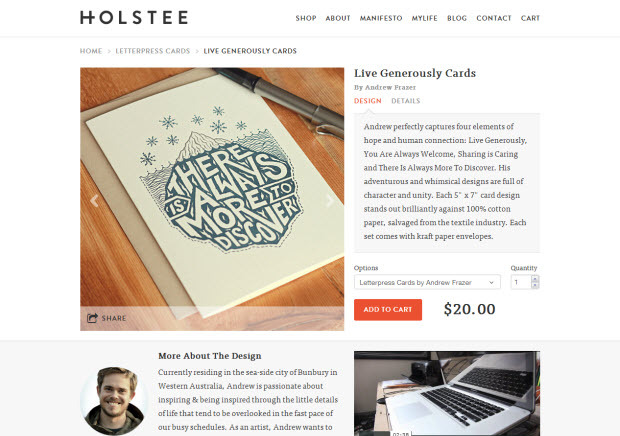 Usage of typeface, product and lifestyle imagery, the user experience and the product and brand story. When all of these come together, not only does it create something pleasurable for the website visitor but also greatly increases e-commerce conversion, brand loyalty and following and turns into something pretty special. Where does the brand, values and goals separate from the story and products? It doesn’t. These guys are living their passion – and it shows. Superb harmony between business, passion and commerce. Effortless. 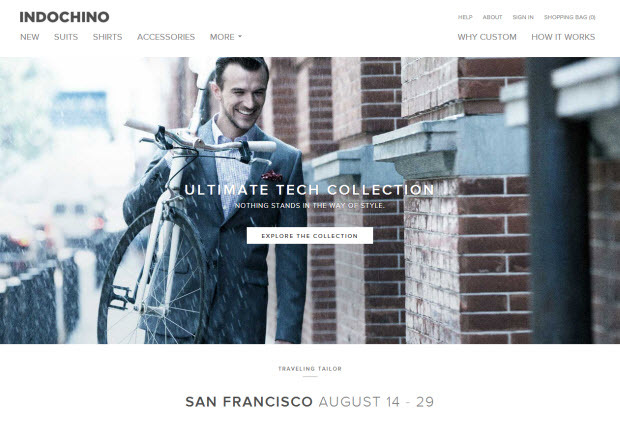 An awesome set of products delivered by a tight, crisp, content-rich website. 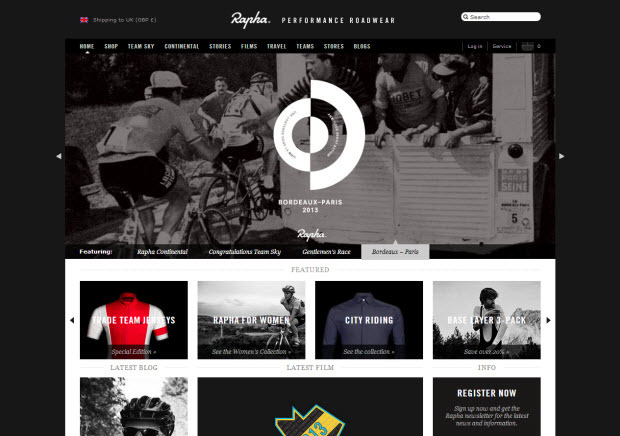 Do you want to buy a shirt or be part of Rapha? 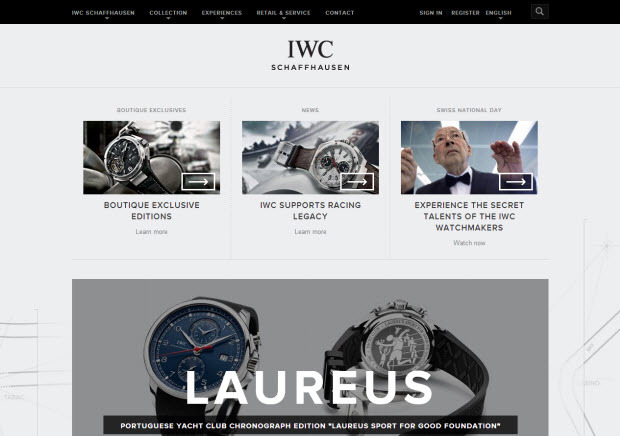 Website for IWC watches. It’s the balance of overall strategic delivery but then deep-dive into attention to detail – this is a really well executed site. From large, image-heavy dropdown menus with subtle animation, to the parallax scrolling of the background … the user experience is superb. Stunning delivery, stunning images, very different execution – the products are the experience, rather than in-your-face e-commerce buy buy buy. As the products are expensive, the images and text need to recreate the experience of having the product in your hand as much as possible – from very large, superbly lit and taken product photography to product stories … they’ve done a great job. They also have a quirky delivery of English throughout the site – when waiting for the site to load on the homepage you see “Hang on, just loading the goods” – love it. 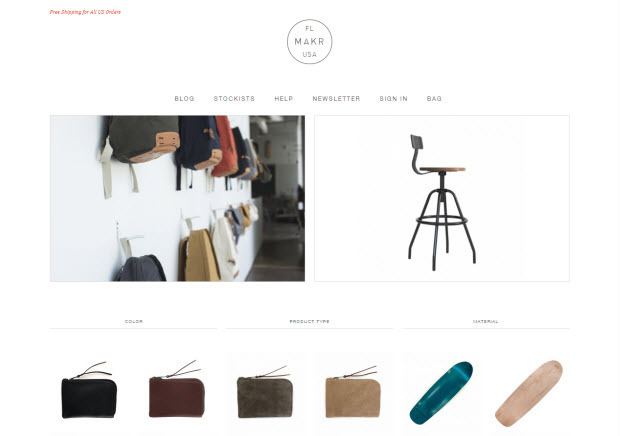 Beautiful products delivered through a clean and beautiful website. 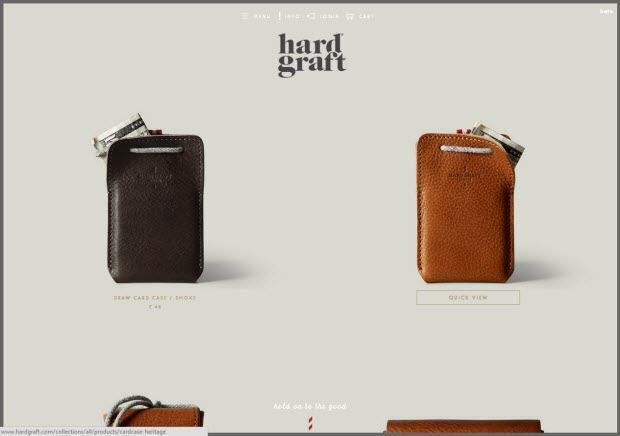 I LOVE the way they’ve shown every variation of every product in a big scrolling grid/list. When you walk into a shop, you normally see every variation of a product out on shelves if space is not at some crazy premium, so why not do it on the website? The shop itself is extremely simple – flowing grid of products, with not the best product photography … what I love here is the typeface usage (that Pill Gothic font on the navigation is just stunning) and the homepage delivery – you know pretty quickly if you want to stay and buy into their brand or if you’re on the wrong site – the images are superb. As in most of the items in this list, their product photography is exceptional – favouring lifestyle shots that encompass their brand as much as their products. Their story is superb – when you read about the town of Cardigan, you really want to own a pair of jeans – for the history, the craftsmanship and story, as much as the product (which looks exceptional). The homepage is beautifully delivered – well thought out key brand statements and USPs delivered through a timeless typeface over evocative imagery. The product pages continue on this vain – full screen imagery with the focus on “customisation” immediately jumping out at you. We well thought out website. It’s the little things that don’t immediately jump out that set this site above most others. Typeface usage throughout, spacing, use of whitespace and single pixel lines. Again, product photography is superb. 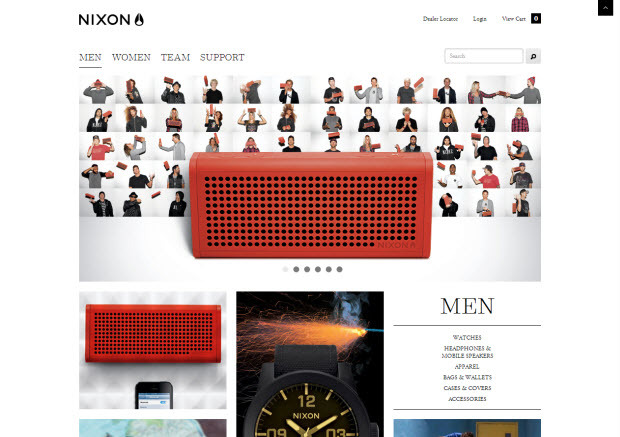 I like the way once you’ve chosen mens or womens from the starter page, the NIXON logo that takes you to the homepage is based on the one you chose – so in my case, Mens homepage. I love the time and effort (and money) that must’ve gone into the micro-site for the Blaster speaker, complete with funky parallax scrolling. I didn’t think I needed or wanted one, until I got to the bottom and found myself checking price and availability! I’m not really surprised the site is so good – I think everyone chills out surfing when not working, or does part-time modelling! Anybody who can turn sock purchasing into such a delight and art-form wants a medal and deserves to be on this list! 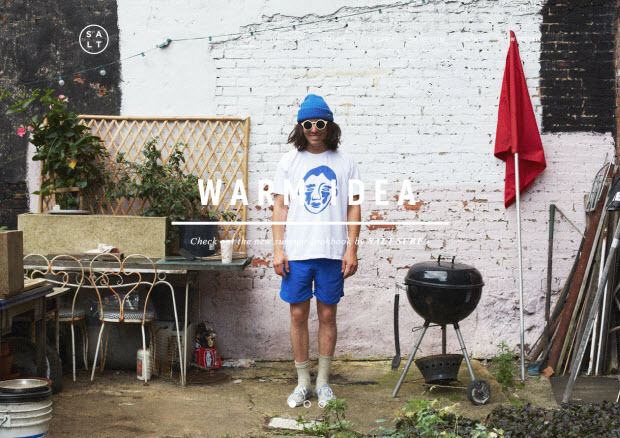 Very cool brand, beautiful products and imagery and a well executed, simple website. Is there a site missing from the list that you particularly like? Website design and delivery is very much a personal preference … but we’d suggest the above websites all have common themes and elements running through them that break them away from the norm. Let me know if there’s a website that should be here!